Some questions and answers here. The adventure begins! That's right folks. Get ready to learn some details about your favorite characters. Low is rather amusing here. He seems much more grounded in reality at the moment. 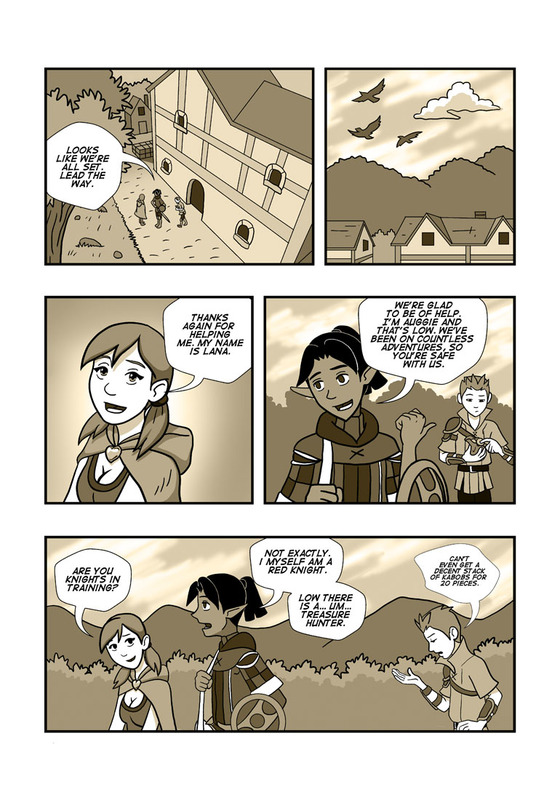 I was thinking about giving my comic a sepia make over... Seeing how good it makes your comic look is making me want to do it even more. It's a simple way to add a little more color. We were going black and white at first too untill we tried this and decided to keep it.